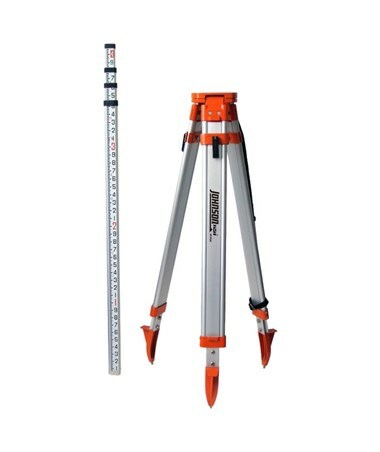 The Johnson Universal Tripod & Grade Rod Kit is a must-have tool for all construction and surveying professionals. 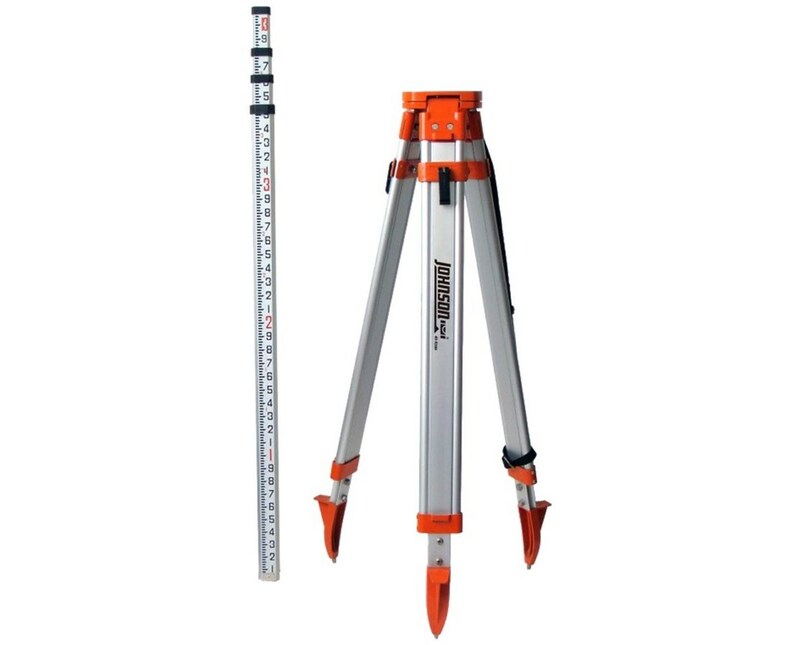 This package includes a reliable tripod for most mounting applications and a telescoping grade rod for measuring with great accuracy. With its aluminum construction, both tools are durable and lightweight. 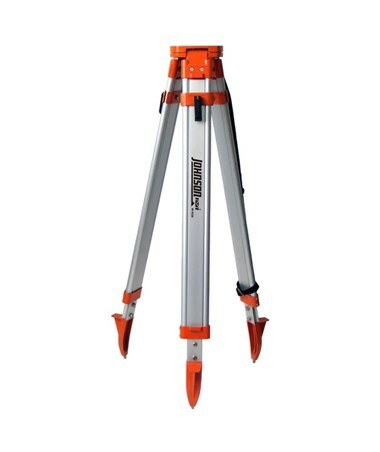 This universal kit by Johnson includes a contractor's tripod that offers elevation range of four feet up to five feet with its quick clamp locking system. It accommodates a wide range of equipment with its flat head and standard 5/8-11 threading. Its sharp metal points come with removable rubber covers to provide superior durability for indoor and outdoor use. With the included plumb bob hook, it ensures precise leveling and alignment. The Johnson Universal Tripod & Grade Rod Kit guarantees exact measurements with the supplied 13-foot long, four-section adjustable grade rod. 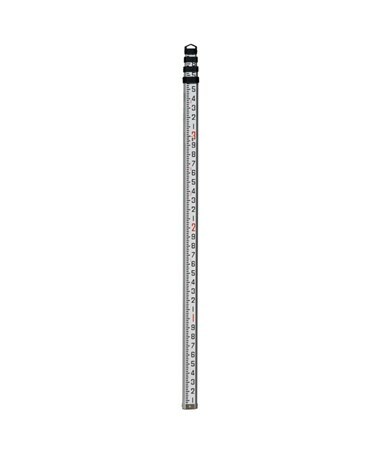 This rectangular grade rod is equipped with dual graduations in standard feet and inches and engineer’s scale in feet and tenths of an inch. It is easily collapsible and comes with a carrying strap allowing convenient storage and hassle-free transport. With a three-year manufacturer’s warranty, this kit is designed for long-lasting efficiency.